With the last few playoff games for the spring split closing out in the coming weeks, the League of Legends season has almost reached its midpoint. Traditionally a time when competitive play takes a break and sweeping design changes can be made that radically shift approaches to the game, Riot has announced the first batch of changes, which focus upon individualizing tanks. 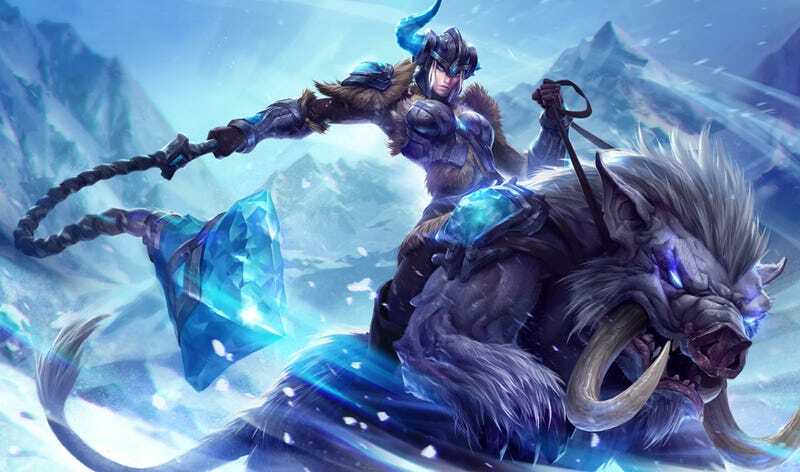 Sejuani’s melee allies will also be able to apply frost with attacks, as well as point-and-click stun foes with enough stacks and shatter frozen enemies for big damage. This kind of champion synergy opens a lot of potential for crafting lineups around abilities like Sejuani’s, and it certainly fits her persona as a warchief leading the charge. Zac’s Stretching Strikes will be stickier, letting him stick to enemies and slam them into each other, and his ultimate will be chargeable, letting him scoop up enemies and fling them to a location. Displacement abilities always lead to goofy, fun synergies, and it puts Zac in a unique spot among other displacing champs like Orianna. Maokai loses his old shielding ultimate, and instead will spawn a lane-wide wall of roots that creeps out, rooting enemies in place. This will force him to play a more active role in fights, figuring out the best time to lay down his roots. Besides the changes to tanks, Riot also announced some overhauls to game objectives like the Rift Herald, which now drops a consumable item that summons the monster to your team’s aid, and a few new defensive items to provide more options against sustained-damage mages like Cassiopeia. Supports also gain quests through their items, rewarding them for making effective use of their equipment with bonus abilities and skill points. A full website launching next week will more fully detail the midseason changes, but the ones revealed so far highlight where Riot is looking to take the game moving forward. When a player’s thought process changes from “which champion is the most optimal in my role” to “what do I want to do within my specific role,” that’s a healthy adjustment for the game at all levels.